Michael Schumacher is in critical condition after he suffered a traumatic head injury yesterday while skiing in the French Alps. 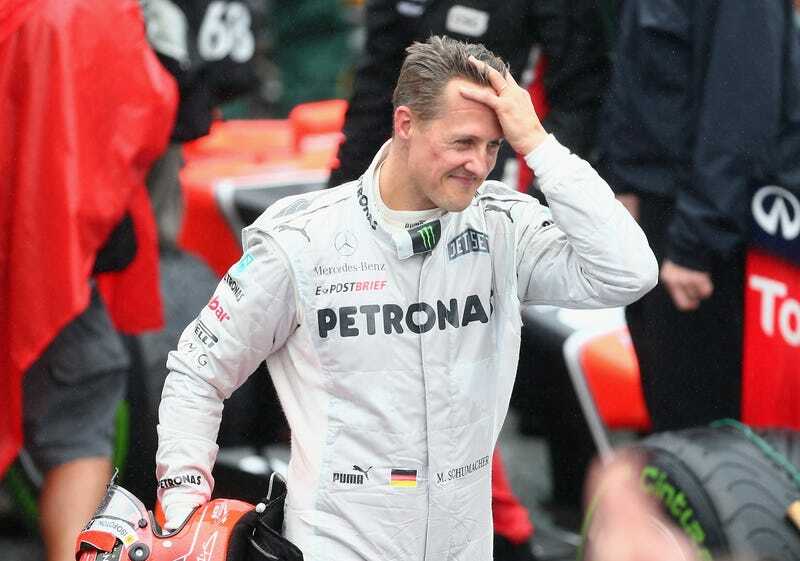 He's currently being treated at Grenoble University Hospital Center, but doctors said today that it's still too early to tell if Schumacher will survive, or what the extent of his brain injuries are. Schumacher suffered the injury Sunday, when he hit his head off of a rock and was airlifted from the resort in southeastern France. Doctors said that he was wearing a helmet at the time of the accident, and that it likely saved his life. He's been kept in a medically induced coma following his surgery to prevent further injury to his brain. Schumacher is widely considered one of the greatest F1 drivers of all time. He won five consecutive world driver's championships from 2000 to 2004 with Ferrari, and won seven overall.